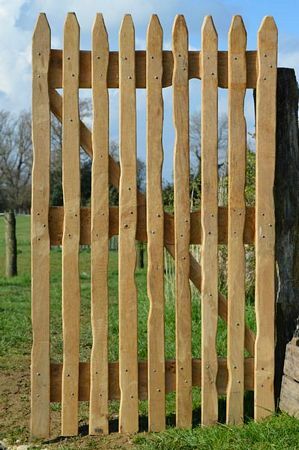 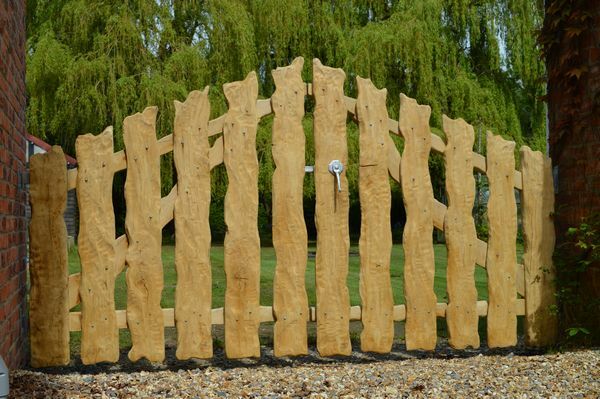 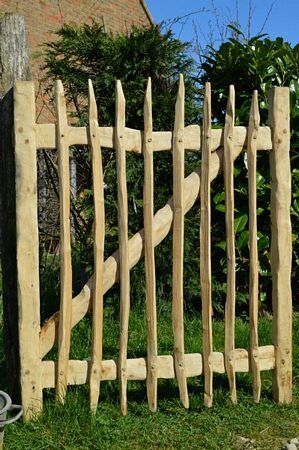 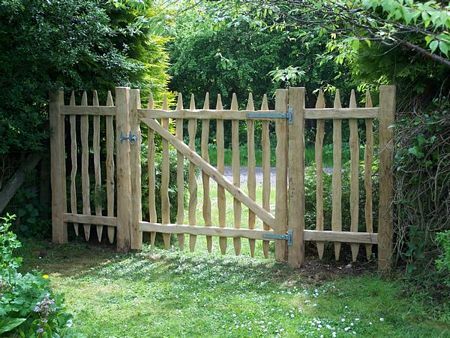 Our completely individual bespoke gates are hand-made to order using sustainable British woodland oak or sweet chestnut. 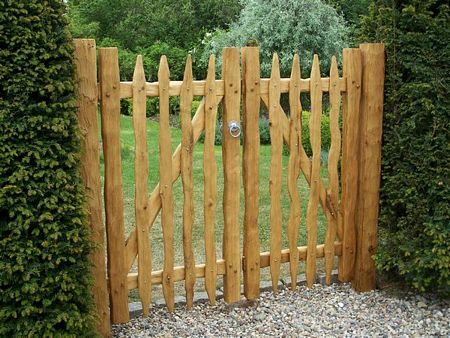 To discuss, obtain a quote or to order please get in touch with your requirements. 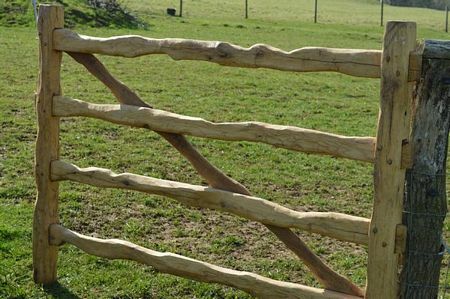 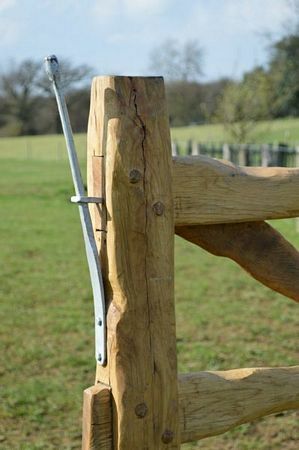 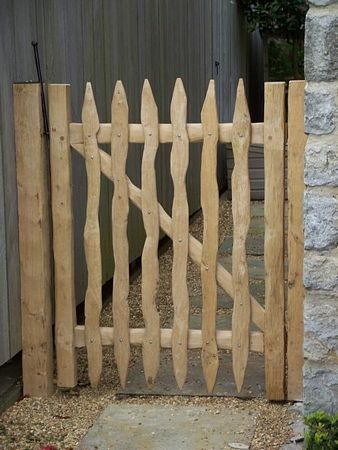 Please see HANDMADE WOODEN FENCING page for matching fencing.